The recommended starting age for teaching CrossFit to children, is aged between 3 and 5 years of age. 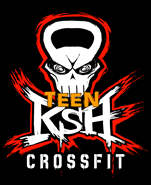 The emphasis for this age group is fun, development and increasing physical awareness and the application of basic CrossFit principles, including the nine fundamental movements. CrossFit fundamentals are taught via a variety of simple games with functional movements, concentrating on the mechanics of basic CrossFit exercises including squats, press, deadlift, clean. This is based on the science of children's natural movements, using training techniques and structured sessions with safety and clear movement standards. Emphasis is on development and most of all fun. Please note we do not advocate using weighted workouts for childred of this age. 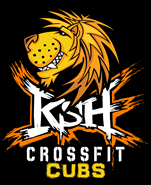 The emphasis for this age group is fun, development and increasing physical awareness and the application of basic CrossFit principles, including the nine fundamental movements. 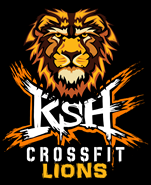 CrossFit fundamentals are taught via a variety of simple games with functional movements, concentrating on the mechanics of basic CrossFit exercises including squats, press, deadlift, clean. Very small weight loads of less than 1KG are used to help develop movement patterns and technique. This is based on the science of children's natural movements, using training techniques and structured sessions with safety and clear movement standards. Emphasis is on development and most of all fun. Sessions for this age group are more easily identified as a WOD (work out of the day). Still reinforcing the need for light loads but more guidance toward technique and correct lifting standards. Sessions are more focused on metabolic conditioning and more concentration on gymnastic elements and light loaded Olympic lifting. 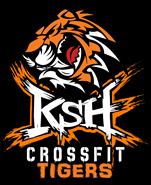 Even though the emphasis is still very much on skill development and fun, there is more reinforcement of CrossFit standards. A little less game playing and a little more improving your game! This age group is the stepping stone to the mainstream adult CrossFit sessions. These are fully recognisable as WODS and very close to the expected standards and whole CrossFit movements that you would expect in a mainstream class. They will routinely lift weights, practice gymnastic elements and build up a good strength and conditioning base that transpires into any sport and any area of their daily lives.